Never before have we seen such a time as this, where you are not only able to switch on your device and have access to a global audience, but you now have an array of platforms that offer live video capability. The trouble is that whilst we are in a world flowing with the live video equivalent of milk and honey, it’s difficult to gain the attention of your ideal audience — not to mention the numerous sponsored video ads advising people how to grow their business to 6-figures in 6-minutes (okay, maybe not quite that ridiculous in context) — but so many broadcasters are left confused as to how they can grow their viewership and monetize their audience. Facebook is busy, it’s loud, and it’s only going to get worse. Here are three tips to help your valuable content get noticed and drive the engagement it deserves. At the start of your broadcast, your opening statement — or as I like to call it, Power Intro — is the most important couple of sentences to attract the viewer’s attention and keep eyes on your content once they have clicked onto your broadcast (live or replay). You have less than 10 seconds to retain the viewer’s attention. The better your viewer watch time, the more likely your content will rank higher in the newsfeed. Sounds like a no brainer right? But you would be surprised at how many live stream broadcasters do not ask a question relating to the core of their content. What do I mean? A broadcaster should always pose a question which is directly linked to the topic of the content. You should either ask the question at the beginning before the Power Intro (if it is a short question), or directly after the Power Intro to feed seamlessly into the body of the content. Doing so will likely increase overall engagement and watch time. Okay, okay – another no brainer I hear you say, but many people still fall down in this area. Much like YouTube thumbnails, a title to a live video needs to look and sound the part for greater click through success – emojis and text inclusively. A good title will have the potential to grab the attention of new viewers and halt any newsfeed scrolling frenzy — because let’s face it, we all scroll through newsfeeds faster than Usain Bolt runs in the Olympics. So get creative and think outside of the box and don’t be a snooze fest with your titles. Have you incorporated live video into your marketing strategy? 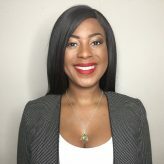 Janine Cummings is an entrepreneur, author, speaker and the Founder of The #BOSSITLIVE Tribe, a premier membership group for women entrepreneurs who want to up-level their influence and social media marketing strategy using the power of live video. Janine won the prestigious STAR award in June 2016 for being one of 100 top women doing extraordinary things in her community — and continues to teach women globally how to use their voice to share their story through the power of live video.